The following is a public service announcement: At this very moment, famed Atlanta rapper turned movie star Chris “Ludacris” Bridges is potentially lying in wait at your local grocery store, ready, at any moment, to pose for a selfie or buy you some groceries. This report comes to us from The New York Times, who managed to find dozens of accounts of Ludacris’ shopping excursions on social media over the years, many of which took place at Whole Foods markets. Why, you may ask, does Ludacris choose to spend his days like this? Presumably, he likes food and is, by all accounts, a very cool dude. The Times uncovered Ludacris’ secret hobby while attempting to verify a woman’s story on Facebook about Ludacris buying her $375 worth of groceries at a Whole Foods in DeKalb County, Georgia. A quick search on social media not only revealed similar stories of Ludacris buying food for people who looked like they needed the help, but also produced over a hundred accounts of the Fast & Furious star simply hanging out in area grocery stores. 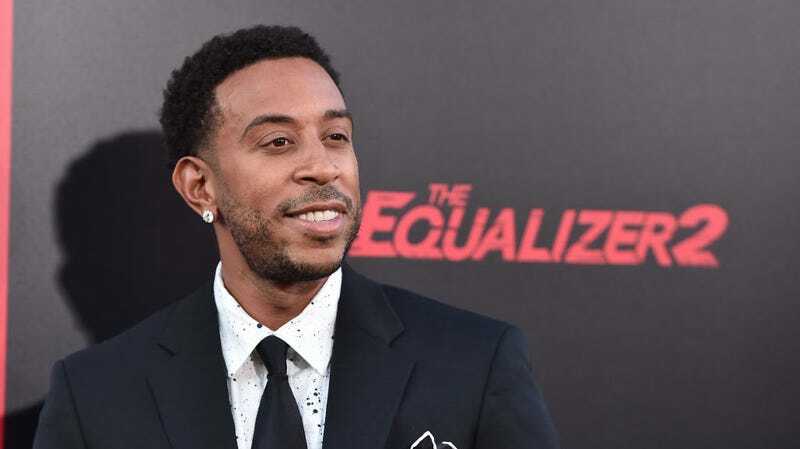 Grocery shopping seems like one of those things you immediately stop doing as soon as you become famous, but, according to Ludacris’ longtime manager Chaka Zulu, “From time to time, he shops his self.” Maybe this is just his escape from celebrity. Maybe the occasional visit to the Whole Foods bulk aisle makes Luda feel like a normal guy again. Or maybe, he doesn’t even need groceries, and instead uses these visits as an excuse to bless the lives of total strangers. That’s some “Southern Hospitality” right there.